Robert Luff & Co are delighted to present this superb and incredibly spacious Neo-Georgian style, DETACHED FAMILY HOME, ideally located in a small residential area just a few minutes walk from Shoreham mainline railway station and town centre, with its fine array of boutique shops, cafe's, restaurants and gastro-pubs. There are also several well regarded schools close by, including; Buckingham Park Primary, Swiss Gardens Primary, St Nicholas & St Mary C.E Primary and Shoreham Academy. The impressive accommodation features: Entrance hall, dual aspect living room, separate dining room, fitted kitchen, ground floor cloakroom/utility room, first floor landing, FOUR DOUBLE BEDROOMS and a brand new contemporary bathroom. Outside, the property benefits from attractive gardens, ample secure off street parking and a large garden office/potential annexe (converted double garage). VIEWING A MUST!!! 2 X understairs storage cupboards, laminate flooring, radiator. 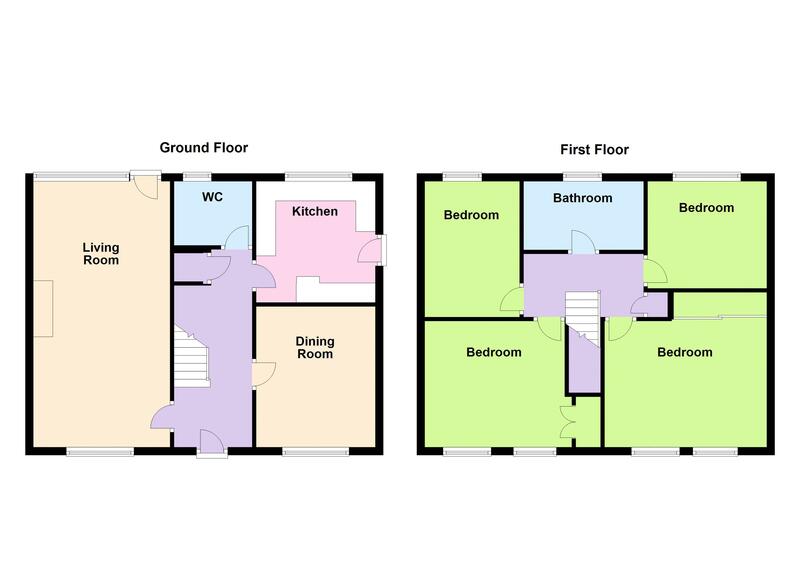 Double glazed window to rear, low flush WC, vanity unit with inset, moulded wash hand basin, space and plumbing for automatic washing machine. Double glazed windows to front & rear, coving, open fireplace, two radiators, double glazed door to garden. Double glazed window to rear double glazed door to side, range of fitted wall and base level units, fitted work-surfaces incorporating single drainer sink unit with mixer tap, integrated dishwasher, electric oven, extractor hood, integrated fridge/freezer, tiled splash-backs, breakfast bar. Loft access with pull down ladder to part boarded loft with light, airing cupboard. Double glazed window to front, fitted wardrobes, built in drawer units, radiator. Recently fitted contemporary suite comprising: P shaped bath with digital rainfall shower, low flush WC, pedestal wash hand basin, part tiled walls, double glazed window to rear, Karndean flooring, radiator. Wall enclosed, laid to lawn with flower beds, hedges and trees, timber shed, side access. Double gates to hardstanding for multiple vehicles. Formerly a double garage. Range of wall and base level units, work-surfaces, fully insulated, power and light, double glazed windows and own wall mounted electrical consumer unit.